This is a lecture from the Qigong Series, The Five Regulatings. 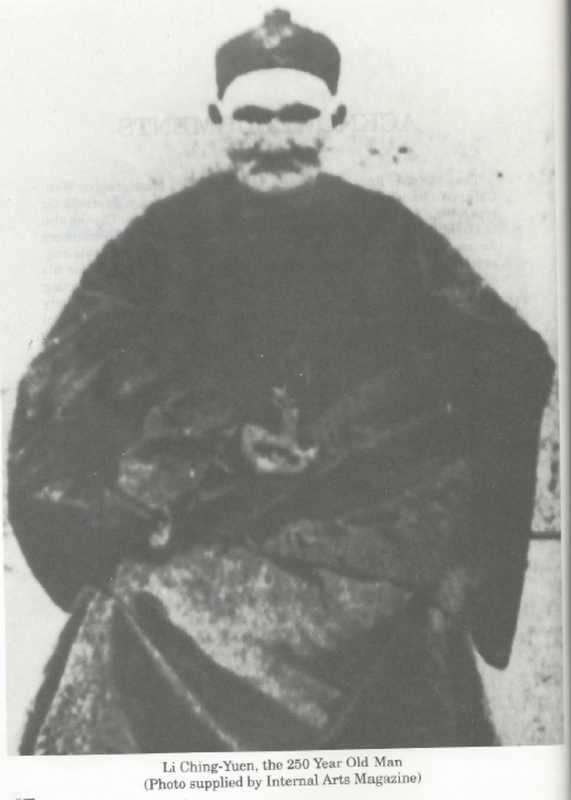 Meet Li Ching Yuen, 250 year old Qigong Adept and Herbalist. How did he do this? How can you live a long healthy life of well being ? Here is how. Consider the term “life form”. Perhaps it is useful to consider this to mean a form for experiencing life. What and who is having the experience through form? This study is about hold the form for the spirit to experience the physical realm. The consideration begins with the life form coming together. First there is the initial combining of chromosome material and a mixing of the dna sequence coding. Once initiated, the combining continues for a duration until there is point at which the form is considered to be mature. Then the form begins to age and the process of atrophy begin to deconstruct the form. When a life form sustains itself through this life force, it experiences life. What or who is having the experience and why? Consider what happens if the force that holds the form together is interrupted. The form begins to lose its ability to hold itself together for the purpose of experiencing life. Sometimes external causes affect the form to lose cohesion. let us consider the cause of internal sources of cohesion. What is it that human life forms do that unnecessarily cause the form to lose the battle with atrophy? Why do people initiate self destruction ? How and why would we interfere with the ability to experience life? As we experience life, sometimes the meaning we give to that experience is unsatisfactory to the ego self. The more resistance this aspect of mind has toward what is, generates stress. The stressful state of mind, the reactive feelings and mood that result from becoming absorbed within the reaction creates a the mental state of anxiety. This stress directly affects the body. Since the mind and body are directly linked, what we experience across the ind will be reflected across the body. In the first regulating class, which covered regulating the mind, we learn to disengage from currents of the mind stream. I am calling the mind stream that linear string of connected thoughts or thinking that can carry the person away in a kind of waking, “what if” nightmare. The emotional energy generated with this very powerful and can permeate consciousness with the dark feelings of fear, anger, desperation, worry, agitation, frustration and more. This stressful mindset cause many problems with the body which is responding with the fight or flight stress response. When we become lost in this continuous mindset, our body uses most of its life force energy in process. Before long the body becomes depleted and exhausted. After enough episodes of this, it will begin to break down. In addition to this stress, our mind seeks compensate for the stress by coping measures that are often not healthy remedies. The stressed out person may eat too much, drink toxic beverages, and other self abuses. The simple and straightforward most healthy remedy is to practice becoming relaxed. I use the term straightforward because relaxation and meditation is not complicated and should be simple. One should sit still,and quiet the mind and body until peace is realized. The more stress that is at hand, the longer one must sit quietly allowing first the mind and then the body to become calm. Bringing the mental focus out of the mindstream and becoming present is to become self aware. When we have broken our attention free from being absorbed in the busy self destructive thought activity, we concentrate at holding the focus non thinking state of consciousness which is observing. Observing the breath has been the practice for meditation for centuries and it works. It is simple and can be practiced anywhere at almost anytime. Use the breath as an anchor. It can become as a lighthouse in a storm. In one of the breaks between thinking onsets, there be a break or pause in the stream of thought. In one of these gaps one can realize what is happening and seek the breath. In that gap, ask “am I breathing?” And see the answer by finding breath. In that instant you detach from thinking and move the awareness to seeking and observing. Once you find the breath, work at staying with it. As you begin to take and keep your attention, your mental focus, close at hand, or rather close with the breath by observing it, the thinking energy will begin to lose some of its “grip”. The more one practices this the better they will become at staying present. It is not necessarily easy, but is very powerful. When the mind is present and at one with the breath, the connection to body is established. From the breath, the observer can use the mind sense to bond with the body and reach a knowing about its state. From here one can bring relaxation and healing to areas that are suffering from tension, anxiety and stress. In the beginning, guided meditations can help a lot in developing the technique of letting go of thought stream and staying with breath. Guided meditations are good for beginners, but the individual must not become dependent on having to have a guide. It is extremely important to cultivate and practice the ability of sitting quietly by the self and establishing the rapport with spirit and stillness. In this state of calm abiding, the body can heal. In Qigong we must create and cultivate the conditions for the “life force energy” to flow and nourish our physical self. It is an awesome and very powerful system to which we only need to refrain from interfering with. The biggest interference is stress. We still energy from well being and use it by useless mind states that just drag us down. When the life force energy that can and will sustain us is blocked or interfered with, we lose our ability to heal and sustain our robust vigor. Stress wears us down and depletes our ability to regulate the body. Regulating the body, begins with regulating the mind. Regulating the mind begins with meditation and regulating thought and emotion. This is must. Meditation and regulating the mindy body connection is a non-negotiable function that you must become proficient at. You dont have to become a super human, you just have to restore balance to enjoy the miracle of life. Qi (life force energy) sustains longevity, distraction and stress sustains atrophy.